I took a brief break from Radiesse to become excellent with injecting Juvederm, but I’ve come to realize the unique niches filled by having Radiesse, a demal filler. 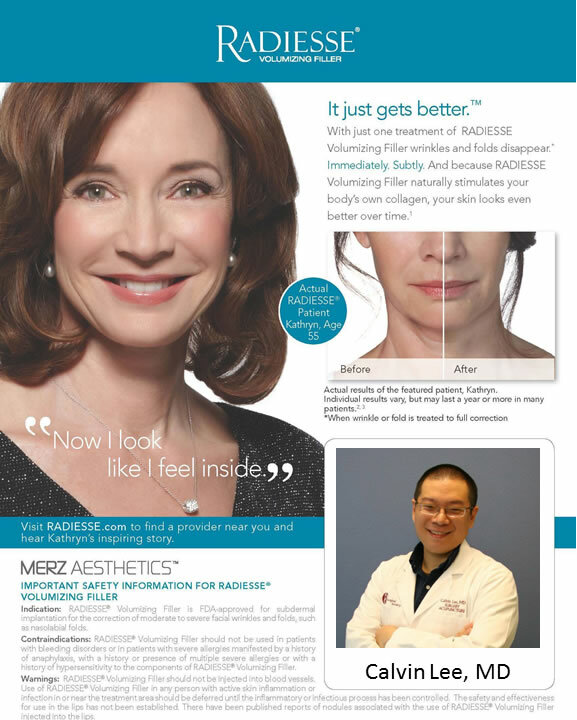 Radiesse acts as a scaffolding, providing structure for your own natural collagen to grow. Radiesse is comprised of Calcium Hydroxylapatite (CaHA). I know many of you have requested Radiesse by name and now I have it back in stock and ready to go. I have both the 0.8cc and the 1.5cc syringes available to inject. Feel free to call us to set up an appointment with me: 209-551-1888, Modesto, CA. For more information about Radiesse, volumizing dermal filler, please visit www.radiesse.com. Of note, the makers of Radiesse also makes Belotero. Get better results from your filler. Clinical studies of Radiesse patients show that they were more staisfied with the results they received from treatment with RADIESSE than with other leading dermal fillers. 33% more Juvederm injectable gel may be needed to achieve full correction compared to RADIESSE volumizing Filler. RADIESSE Volume Advantage syringe contains 50% more product vs. Juvederm injectable gel syringes. Visit our Modesto Radiesse and Botox home page.